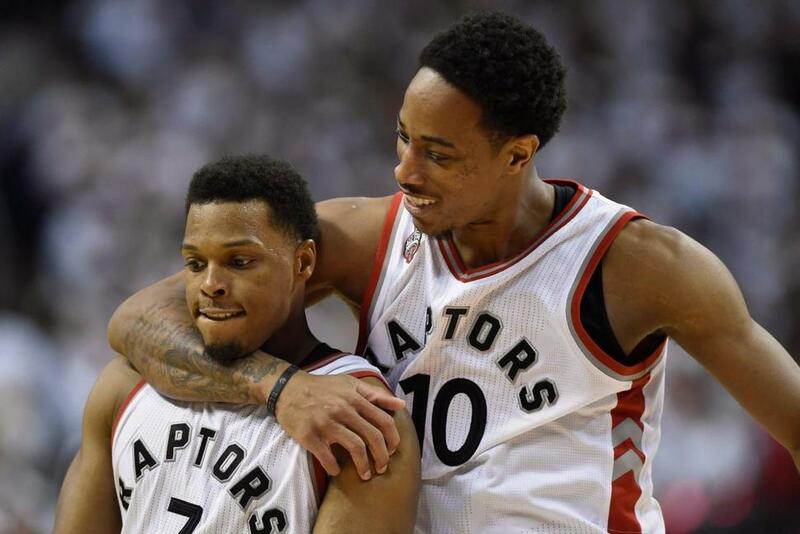 Kyle Lowry scored 35 points, DeMar DeRozan had 28 and the Toronto Raptors beat the Miami Heat 116-89 on Sunday in Game 7 to reach the conference finals for the first time in franchise history. The 116-89 victory, behind 35 points in a monster game from Kyle Lowry, sends the Raptors to the Eastern Conference final for the first time in the team’s 21-year history, where the terrifying Cleveland Cavaliers await. Bismack Biyombo added 17 points and 16 rebounds for the Raptors. They'll open the Eastern Conference finals in Cleveland against LeBron James and the Cavaliers on Tuesday night. “I know it’s kind of cliché, but we never doubted Kyle and DeMar (DeRozan),” coach Dwane Casey said after the All-Star guards combined for 63 points, their biggest total of the playoffs. Now the Raptors get ready for the Cavaliers, who swept Detroit in the first round and have been resting since May 8, when they capped a second-round sweep of Atlanta.